This tournament has raised over £30,000 in recent years for cancer and end of life illness causes. This year it is concentrating on a local rather than national cause. The Arthur Rank Hospice is based at Shelford Bottom near Cambridge and provides end of life illness services free of charge to the area. Please see the poster below with all the details about this great event. 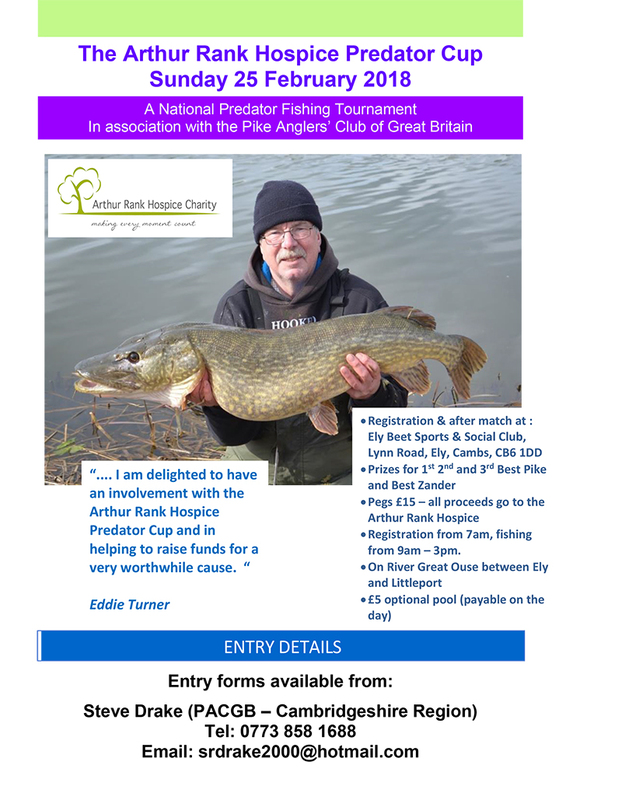 I am delighted to have an involvement with the Arthur Rank Hospice Predator Cup and hope to see many of you there helping to raise funds for a very worthwhile cause.